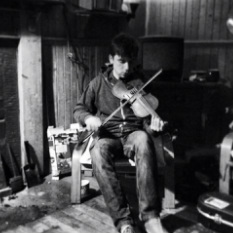 also plays fiddle with the Dùn Mòr Ceilidh band. A video of Jamie performing with other students from Benbecula college at the Cèolas concert, Danns’ an Eilien, at Celtic Connections in February. The third tune in the set is a jig called 'Mind the Bucket' which Jamie composed himself.